This past summer, Wedding Design Studio designed another fabulous wedding at Rowena's Inn on the River. This wedding was photographed by Stec Photography. The weather was perfect and the couple looked amazing. The staff were very friendly. 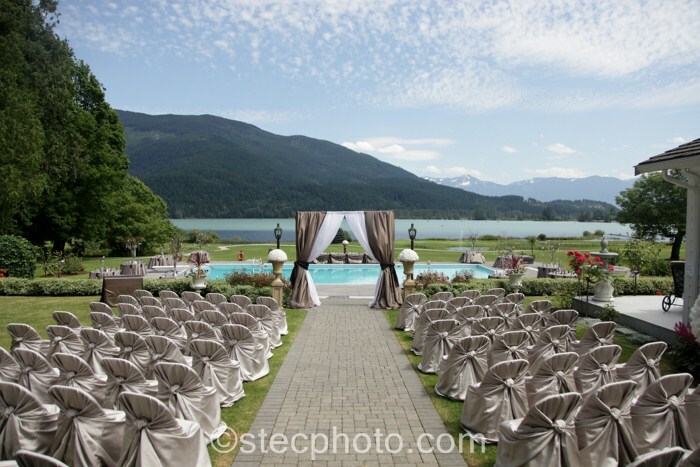 We look forward to the upcoming weddings that we have booked at Rowena's this summer. "I was very happy with the design and final set-up - everyone has commented on how beautiful the wedding decor was. I LOVED my flowers as well - my bouquet definitely completed my dress! As well, I was very happy with how organized things were throughout the entire process.